Anthony studied singing, piano, cello and conducting at Trinity college of Music London before embarking on a career as a singer. He began his career with The Scottish Opera before moving to Teatro La Scala Di Milano, where he was resident for a number of years. At home in Ireland, Anthony has appeared with all the major companies and ensembles including Britten’s Serenade for Tenor, Horn and Strings with the RTE National Symphony Orchestra. He has appeared in many Opera’s with companies such as Opera Ireland, Wexford Festival Opera, The Opera Theatre Company and Dublin City Council’s Opera InThe Open. Anthony has performed numerous oratorios throughout the country and regularly performs in recital with some of Ireland’s leading pianists and chamber musicians. As one of The Three Irish Tenors, Anthony has toured throughout the world, giving numerous concerts in the USA, Canada, UK, France, Portugal, Monaco and as far afield as The Bahamas, Mexico, India and Taiwan. As a Stage Director, he has collaborated with many renowned companies including Opera Ireland, PasO Dos Dance Company, Opera Machine, The Anna Livia Festival and was the founding artistic director of Dublin City Council’s Opera In The Open. Anthony has gained notable recognition as a voice teacher and enjoys a busy career teaching voice and performance skills. He is one of the founding tutors for Irish Vocal Master Classes and has developed and facilitated numerous workshops on presentation, performance and voice. 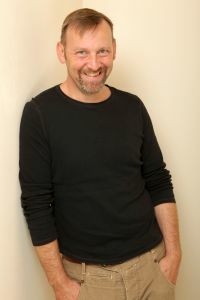 As well as teaching at his private practice – www.singinglessonsindublin.com, he is also a lecturer in performance arts education at The Liverpool Institute of Performing Arts, an associate lecturer in the faculty of performing arts at Edgehill University and a regular facilitator of masterclasses and workshops at numerous institutions of third level education in both Ireland and the UK. Further to his work facilitating workshops for choirs and ensembles, Anthony is musical director and chorus master of An Cor Choir, Dublin; Vocare, Wexford; The Avondale Voices, Wicklow; Tinahely Young Voices and The Microsoft Choir, Ireland. Anthony is on the staff of Music Generation, Wicklow and Wicklow Get Vocal for the Arts Office of Wicklow Council.